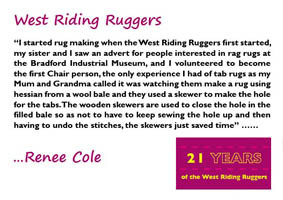 The group has a growing collection of stories relating to memories of rug making in the 20th Century, including the group members own memories of rug making. To add to our growing archive of rug memories, please send your contribution via our contact page. 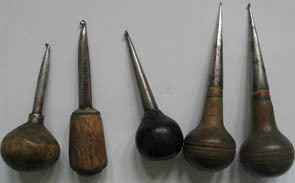 The group also has a growing collection of historic rug making tools. If you would like to donate rug tools to the group, they can be brought along to one of our meetings, or alternatively use the contact page to get in touch with us.